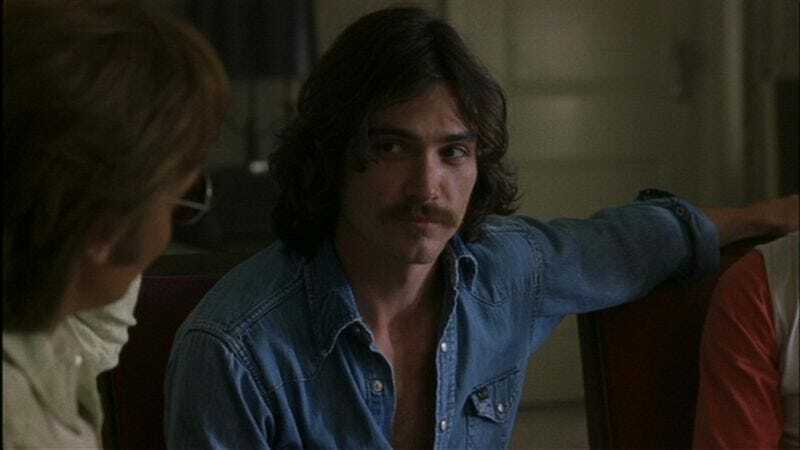 Billy Crudup, who recently starred in The Stanford Prison Project, is set to play the male lead in 20th Century Women, an Annapurna film written and directed by Mike Mills and co-starring 21st century women Annette Bening, Elle Fanning, and Greta Gerwig. Set in 1979, the film follows Dorothea (Bening), a single mother living in Santa Barbara who is struggling to raise her troubled 20th century teenage son Jaime. She turns to two fellow 20th century women in her life for help: Abbie (Gerwig), a young photographer who moves in with Dorothea, and Abbie (Fanning), Jamie’s peer who’s only 16 years old but has a very grown-up outlook on life. Crudup will play the 20th century man who becomes one of Dorothea’s boarders, renting out the bungalow behind her main house. According to Deadline, “he’s the hunky handyman type.” But this hunky handyman—who is also a self-identifying former hippie—has a soft side underneath those hardened hunky handyman hands. Mills said the characters played by Bening, Fanning, and Gerwig are all based on women from his own life. “I’m thrilled to have Annette, Greta and Elle, three incredible actresses who will bring an authenticity and vulnerability to each of these very strong, funny and complicated roles.” Mills previously wrote and directed 2010’s Beginners, which starred Ewan McGregor, Christopher Plummer, and Melanie Laurent; Plummer went on to win an Oscar for Best Supporting Actor for the role. Production on 20th Century Women is slated to start later this year in Southern California.